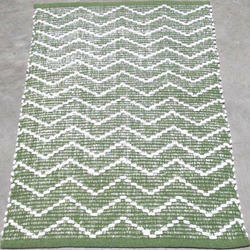 Polyster Striped Cotton Yoga Rugs, Mat Size: 24" X 72"
Flat weave rugs are reversible and also good for high traffic area. 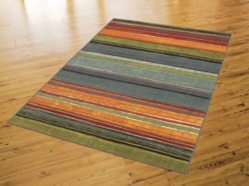 And flat weave rugs are economical too. Cotton flat weave can be wash via machine and if you short of time, then you can flip the turn the flat weave. Cotton Durries. Cotton Durries are hand woven flat weave durry and are cool, light rug, which is closely hand-woven with geometric patterns and repeating colors. Under the meticulous supervision of our skilled professionals, we are providing a high quality range of Cotton Bath Rugs. We are a highly acknowledged organization in the domain, engaged in offering the high-quality range of Cotton Handloom Floor Rugs.